Welcome to Kinessence massage therapy! 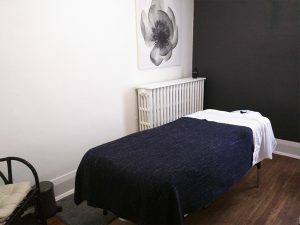 As one of the Registered Massage Therapy practices within the Whole Body Wellness Centre, Kinessence offers a wide variety of massage therapy treatments from relaxation massage, sports massage, deep tissue massage and pre-natal massage therapy. The clinic is located in heart of Bloor West Village steps to the Runnymede Subway station. On the second floor, our clinic is a cozy, quiet and calm nook. We’re a community massage therapy practice servicing the people of the neighbourhood and beyond. Whether you’re looking to maintain and enhance your physical health through regular massage therapy treatments or you’re recovering from a long term injury or you need regular pain relief from chronic pain, we’re here to help you de-stress, relieve pain, restore your range of motion and enhance your recovery / physical performance from a wide variety of soft tissue situations. 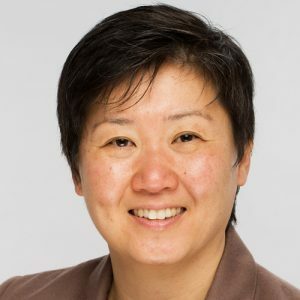 Lisa Chang RMT is the owner of Kinessence. Lisa loves the neighbourhood as well as surrounding communities and has lived in Swansea neighbourhood for 7 years now. Having her practice in Bloor West Village has always been her dream. She graduated from ICT Kikkawa School with Honours and has tutored other upcoming massage therapy students preparing for their certification exams with the College of Massage Therapists of Ontario. ICT Kikkawa College is one of the original massage therapy schools in Toronto and Canada. The school was originally located in Bloor West Village / High Park but is now located at Dundas Street West and Bloor. Lisa has always healed people. She started by being a Ski Patrol officer rescuing and resuscitating skiiers as a first responder. Later, she practiced healing through reflexology as well as energy healing. It wasn’t until she started becoming a Registered Massage Therapist that she found her place where she was able to help people with a wide variety of soft tissue relief from pain and physical discomfort. Her massage techniques and styles include myofascial release, deep tissue massage, trigger point therapy and proprioceptive neuromuscular facilitation. Prenatal and postpartum massage therapy are offered to new moms in any trimester. She also loves to have people enjoy a good foot massage as well. Her knowledge and in-depth understanding of muscles makes her eclectic approach quite effective in accomplishing relief, reduced pain and restored physical function. She is current member of the College of Massage Therapists of Ontario in good standing. She is also a member of the Registered Massage Therapists’ Association of Ontario as well as the Canadian Sports Massage Therapists Association.